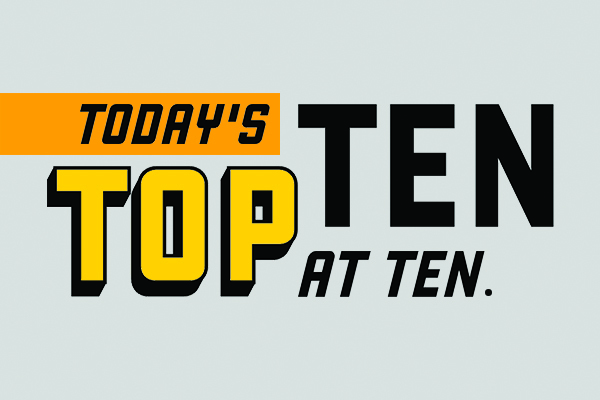 Today's Top 10 is a guest post from Kate Preston, Edmund Lou, Sally Owen, and Ben Davies, research analysts at the Motu public policy and research institute. 1. How 12 experts would end inequality if they ran America. This article compiles 12 answers to the question: if you had complete control of the U.S. government, what one thing would you do to reduce the country's staggering economic inequality? It’s quite a tough ask - the 400 richest Americans control more wealth than the poorest 80 million households, and things are getting worse. However, there's been fierce disagreement on what, if anything, should be done to address this. So – this publication asked experts from across the ideological spectrum what they would do to address inequality. There are short or long form articles for each of their ideas. Their solutions included: a sovereign wealth fund for all Americans, giving every American a federal savings account, new trusts for every American baby, repealing rules and regulations, a national infrastructure program — and even forced deportation of the top 1%. 2. Passing Multi-Choice Exams Without Studying. Lazy (and/or efficient) students have long sought a method for answering multi-choice tests that maximize their score while minimizing their time spend studying. Much like gambling at the casino, any strategy that offers even a slight improvement upon random selection pays off in the long run. This post details how to get a five percentage-point edge using machine learning and clever parsing. The source code is available on GitHub for the interested and algorithmically inclined. 3. Exploring the Viability of Mansion Tax Approaches. This controversial research report from the Urban Institute does what it says on the packet, albeit focusing on revenue rather than political feasibility. The authors estimate the state and local revenue that could be generated through a mansion tax—either a real estate transfer tax or a property tax surcharge on luxury homes. Examining US eight states and the District of Columbia, they experiment with different price thresholds to see how potential revenue might differ. Their analysis shows that the stock of high-priced luxury homes varies widely across states, and because every housing market is different, jurisdictions should consider not only how much revenue a mansion tax could generate, but also how such a tax would interact with existing taxes and statutes and how it would affect residents. A controversial topic, but a relatively expected recommendation - to be careful what you tax, and how. 4. Trump and Kim will meet in Singapore. Here’s why. Trump finally announced on Twitter that he’ll meet with Kim Jong Un on 12 June in Singapore. But why Singapore? Three reasons. First, Singapore has diplomatic ties to both Washington and Pyongyang, and, more importantly, has hosted some historic meetings between China and Taiwan, for example, the Wang-Koo summit in 1993 and the Ma-Xi meeting in 2015. Second, location matters. Hosting the summit in either the U.S. or North Korea is not ideal because it infers an imbalance in power in negotiations. And, certainly, Kim wouldn’t be happy to use anywhere in South Korea because, that would be a symbolic victory for the South. Russia or China won’t do because Trump has been trying to dilute the influence of both countries in the Korea Peninsula. Last, Singapore is close and a neutral site in the region (at least in the viewpoint of the public). The choice of Singapore is the consequence of balancing political powers. Additionally, it seems that Trump is considering a TPP-like agreement (it won’t be called this; because of the Obama-esque connotations). This means that after meeting with Kim, it’s easier for him to visit all the other ASEAN countries. 5. Vog: Using Volcanic Eruptions to Estimate the Health Costs of Particulates. The Kilauea volcano in Hawai’i has been making headlines for its high activity in recent weeks. But it was also the feature of a pre-released article from The Economic Journal. The authors use random shocks of pollution from Kilauea’s volcanic activity to estimate the effect of vog (volcanic smog) on local emergency visits for pulmonary problems and the subsequent cost. Vog is similar to the smog pollution that occurs in many cities. Results show that a one standard deviation increase in particulates results in a 23-36% increase in emergency room charges, especially among the youngest in the population. This blog post by Resources for the Future (one of the institutes our own Motu Research was modelled on) wades into the debate on carbon taxation in the US. President Trump has been quick to call this move "job-killing" - these authors directly counter that argument using economic analysis (see the full research report). They find that the long-run impacts of a carbon tax on US employment are actually quite small. Building on previous research, they constructed a new model considering key aspects of the labour market, such as unemployment, job search, and the distinction between the number of workers and the hours per worker. These aspects had been left out of nearly all previous models used for environmental policy analysis. Their model estimates that a carbon tax of $40 per ton of carbon dioxide (rising over time at the rate of inflation) with the revenue returned to households via rebates would increase long-run unemployment by only 0.3 percentage points. For some perspective, the labour force is about 160 million workers, so this translates into total long-run net job losses of about 480,000. By comparison, the economy has added 191,000 jobs each month, on average, from April 2017 to April 2018. Not such a job-killer after all? 7. The Economic Guide to Picking a College Major. Young people are increasingly investing in tertiary education amid the rise in global demand for skilled labour. However, not all college majors are made equal, and some offer a far better tradeoff between risk and return than others. This post from FiveThirtyEight runs the numbers on which majors pay off in the workplace in terms of both earnings potential and unemployment rates. The contained results are derived from publicly available US microdata; a wrangled copy of that data is offered on GitHub and in the post’s backmatter. 8. The 6 most interesting parts of Trump’s mostly disappointing drug price plan. President Trump has made promises to deal with the high cost of medical drugs in the US. In this article, Dylan Scott talks us through the proposed changes and why they won’t be enough. Interestingly, he notes that stocks in pharmaceutical companies actually shot up when Trump made his big announcement. 9. Presenting at an economics conference? Get a room close to the coffee break. 10. Story Collider: Heroic Efforts. Science shapes all our lives, whether you wear a lab coat or haven't seen a test tube since high school. That means we all have science stories to tell, or if we’re too chicken to get up onstage, to listen to. Last year a bunch of Motu-ites headed to Story Collider, which features ordinary people telling true, personal stories about science. It was far more than the sum of its parts and several of us are currently addicted to the podcast. Now Story Collider is coming back to Wellington. On Tuesday 22 May it will present five stories about heroic efforts in science from storytellers who faced challenges that range from bombs to bats to volcanoes.
" Passing Multi-Choice Exams Without Studying." Found a very simple way to guarantee a pass. Across 15 years the worst mark was something like 53%. We went into that years exam and applied that rule to any question we didn't know. Doesn't the fact the entire exam was multichoice indicate the latter? It's not being smart, it' simply crunching the numbers. Turns out it is straight psychology. The writers don't want the first choice to be the answer, they also tend to avoid D as it is last. So they alternate between B and C with a preference for C.
Interestingly computers are helping with this as it makes it easier to "randomise" the answers. So multi-choice are that little bit harder now. I was always great at multi choice. I agree with what Non Cents and Pragmatist say above. Another method was language. Often two answers said exactly the same thing, but in different words. You could eliminate those. One answer was often just daft. (the lazy supercilious examiner again) Having eliminated three you were left with two or one. If two, just be decisive and stab. You are on 50% already even with a random answer.